The last time I visited Genting Highland, I was awed and amazed by the huge machineries that washes 38 tons of linens as well as the amazing Superstars of Magic 4 magic show where the Godfather of modern day Dove magic Joseph Gabriel pulled out an epic number of doves and ducks from his sleeves! 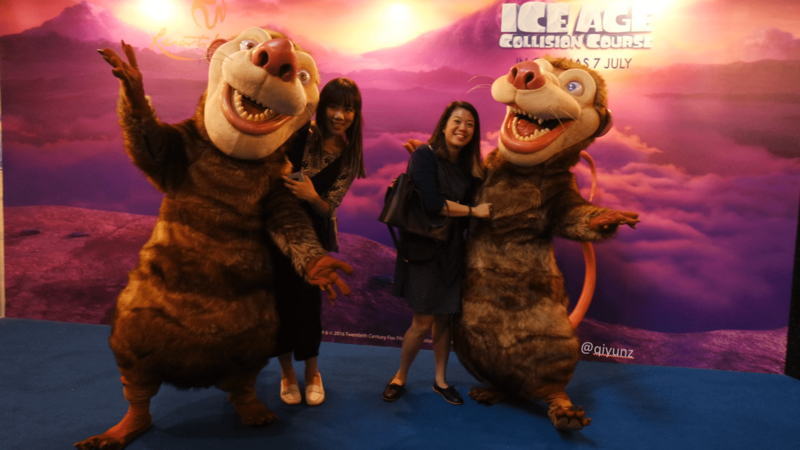 The new movie Ice Age 5: Collision Course will be landing in our Singapore Theathers on 30th June 2016! 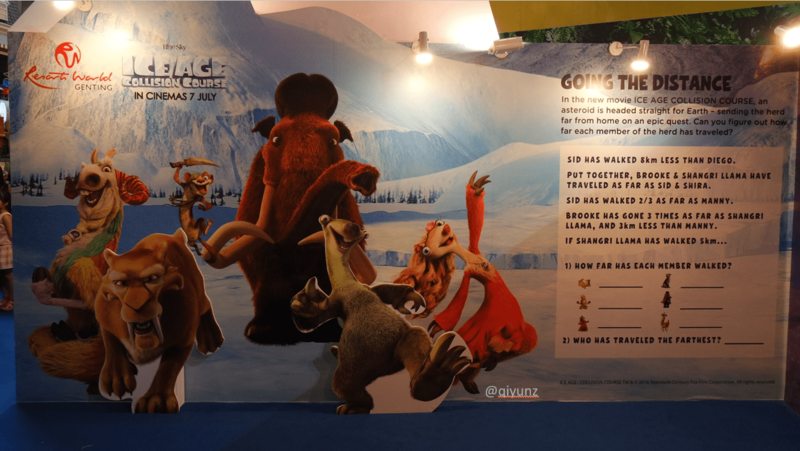 This time, Scrat (that highly unfortunate squirrel that’s on a forever pursuit after his elusive acorn) sent the animals of the Ice Age era on another adventure as he accidently sets off a series of cosmic events that transform and threaten the planet! So I guess it is up to us to help save the world la! >.< We were spilt into teams of 2 to 4 participants and were given 10 minutes to complete 3 tasks, all in bid to help Scrat find his way back to Earth safely. The first task – we had to read ‘constellations’ and match them to their correct names. I was mind-blown by Yina at this spot! She was still a sleepy head when she first entered the game arena and then she was suddenly matching all the constellations at lightning speed when everyone else was still trying to figure out the names they just heard ahah! You should watch the video below and see my face! Indoor the challenge area – watch my video above to find out how this works! A photo with my cutie BFF! 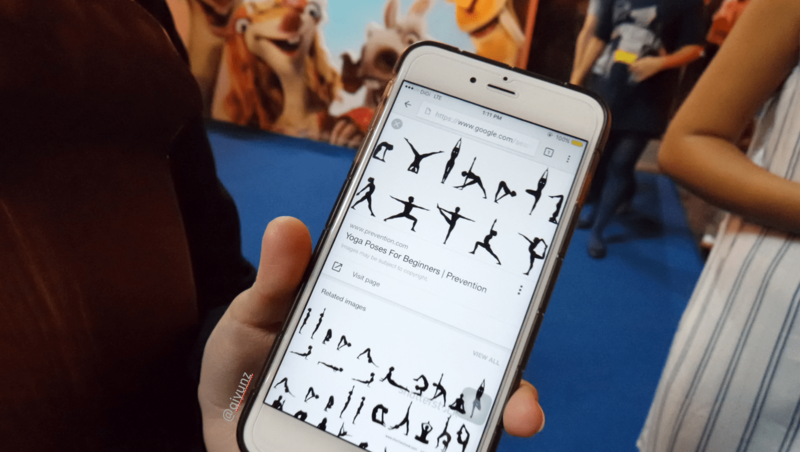 The final challenge is to take a photo doing one of these yoga poses! I think we fared pretty well! There’s also a really cool riddle at the right to kill time if you are just waiting around! Don’t really remember what this photo is all about but my mane looks good here and my face looks slim so here we go hahhaha! Group photo with the wonderful, fun and chatty blogger/ media gang! We breezed through the next 2 tasks and had quite a lot of fun playing the games J I would think kids and parents will enjoying themselves, taking the chance for family bonding and contesting fun facts about the solar system. 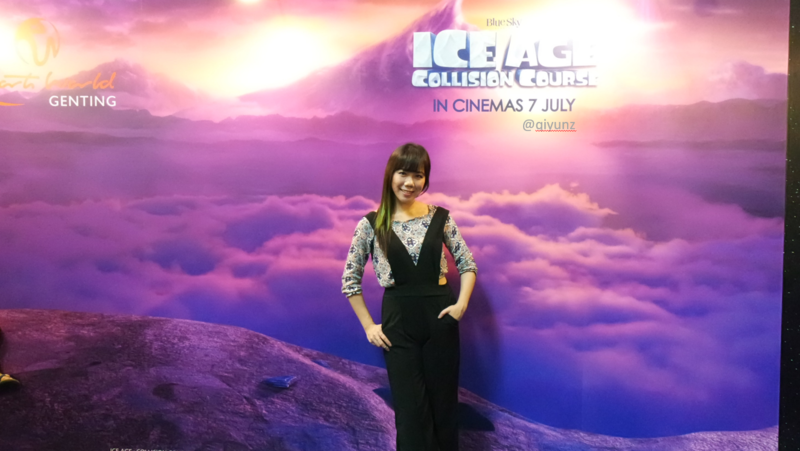 At the end of the challenges, participants stand to win Ice Age Collision Course movie merchandises worth up to RM3, 000. 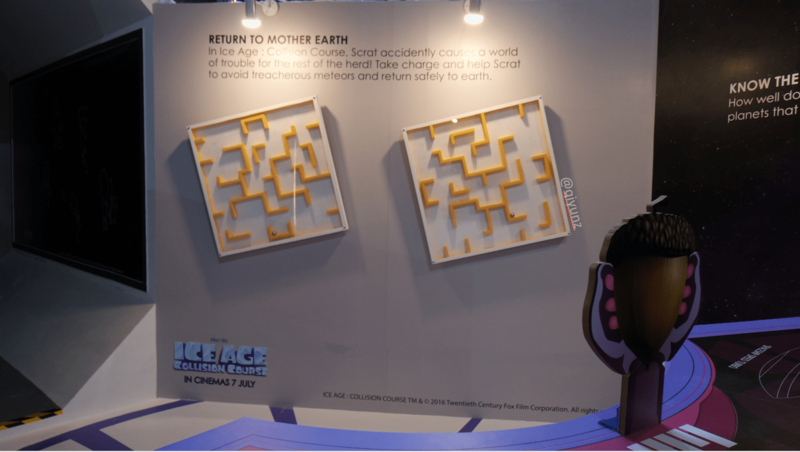 In fact, this game is leading up to the opening of world’s first Twentieth Century Fox World Theme Park at Resorts World Genting in 2017, where there will be many other SUPER FUN and EXCITING activities coming your way! Time: 11.30am, 1.30pm, 3.30pm and 5.30pm. 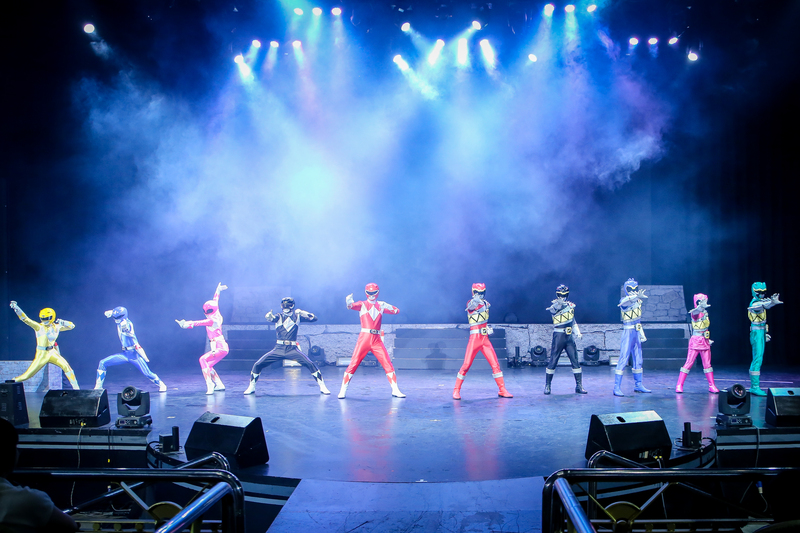 2) Power Rangers LIVE at the Resort! 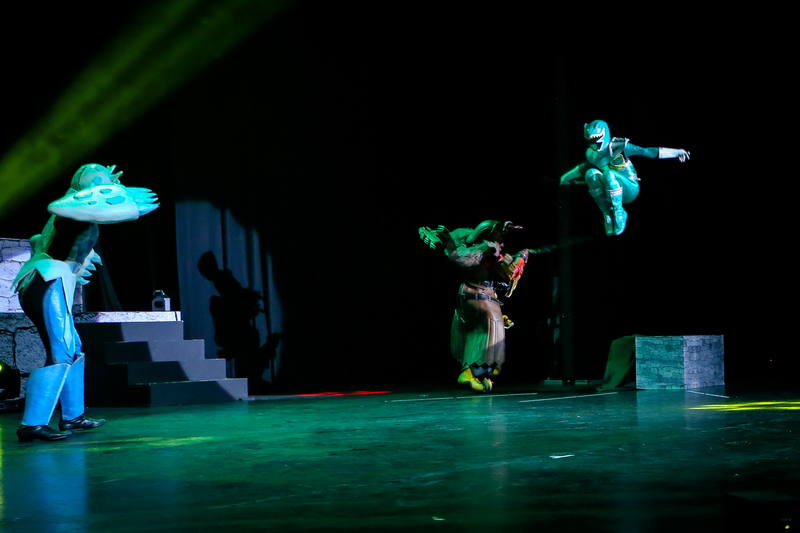 I wish I can fly like that!!! 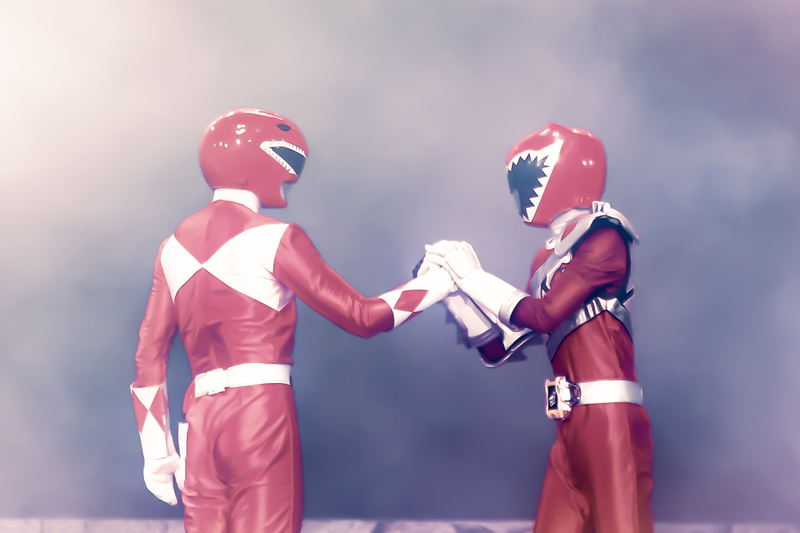 MIGHTY MORPHIN POWER RED RANGE AND DINO CHARGE RED RANGER POWER COMBINED!!!! IMAGINE MY EXCITEMENT WHEN I SAW THEM REAL LIFE!!!! From 28 May to 26 June, you can catch the popular superheroes in the flesh and rub elbows with them at Resorts World Genting! 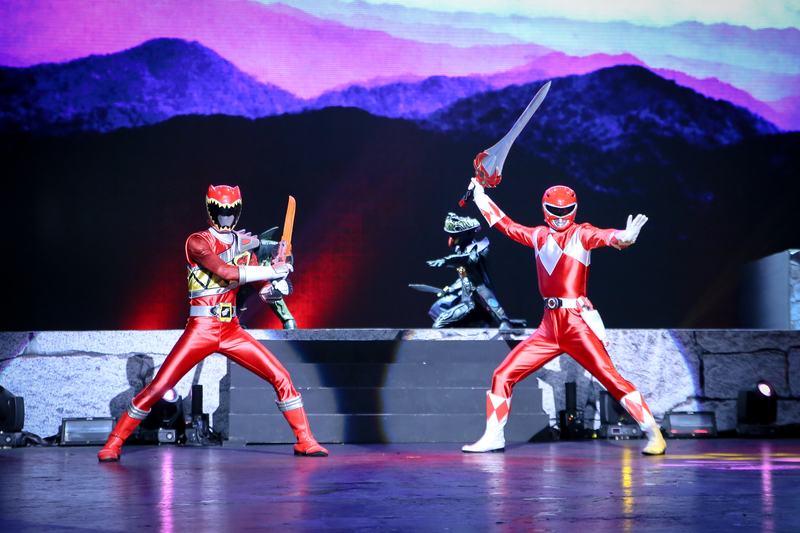 It is the first Power Rangers live show to be held in Southeast Asia and the first ever Dino Charge live show in the world! Watch as they battle Sledge’s Army for the magical Energems that hold invincible powers. Can I tell you that the villains actually won the battle? 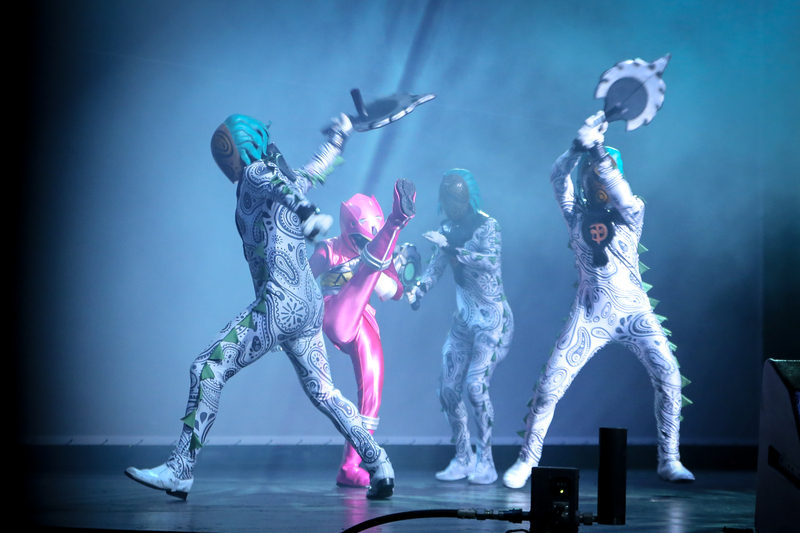 That was until our MIGHTY MORPHING POWER RANGERS CAME TO THE RESCUE!!! Yes!!! My generation’s and the very first power rangers team APPEARED suddenly! Yina and I JUMPED up and cheer them on in our seats – people must have thought we were crazy! I was screaming ‘TRINI TRINI!!! 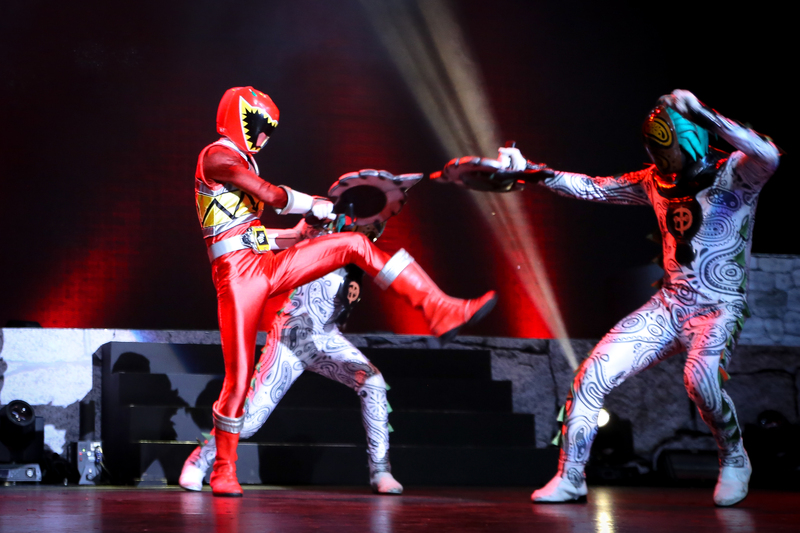 GO TRINI GO YELLOW RANGER!’ and tearing at the same time… it was a huge bout of mixed emotions and my goose bumps were out. While I was exhilarated to see Trini’s face again on the huge screen and see Yellow Ranger standing Live right in front of me, I am also reminded that the cast of Trini, Thuy Trang, died at a young age of 28 in a tragic car accident. 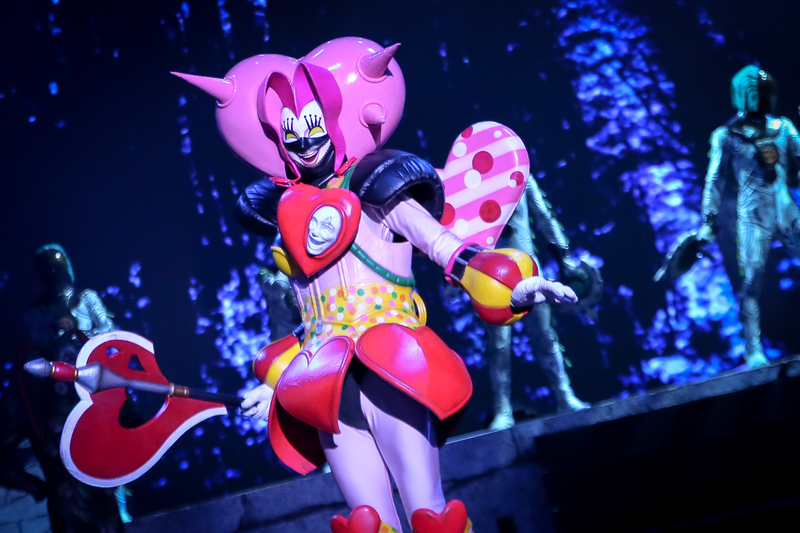 The one-hour show features an international cast and crew—specifically 25 Japanese joining forces with 15 Malaysians to make the production a reality. 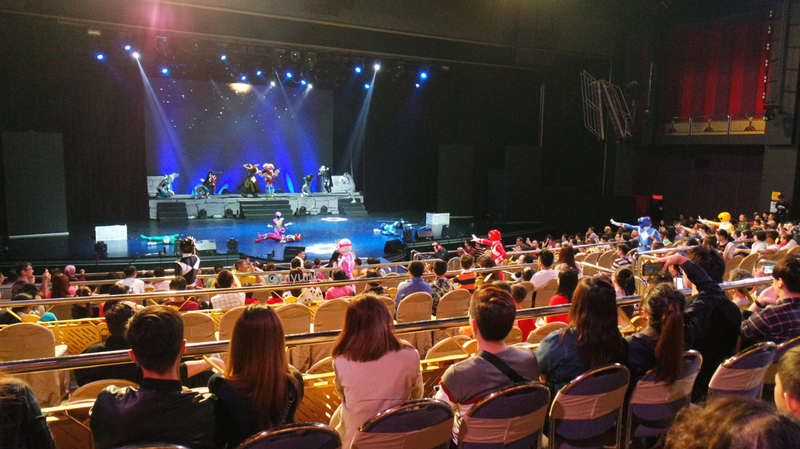 Tickets to the live show at Genting International Showroom are priced at RM108 (VIP), RM88 (PS1) and RM68 (PS2). 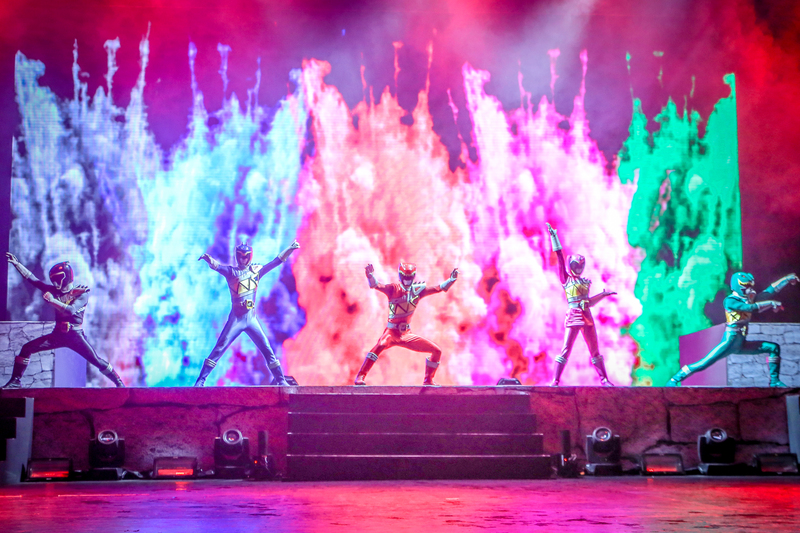 The superheroes will also meet their fans at specific hours namely 12 noon and 7.30 pm at the Time Square Stage, Power Rangers Activation Booth at Universal Walk, Genting Grand lobby and at the Genting International Show Room areas. On the last trip, we stayed in the XYZ room but got to tour the World Club Room (read my review here). I guess being married and having my own house has raised my expectations of accommodations and without second thoughts I paid to upgrade my room to the World Club Room! 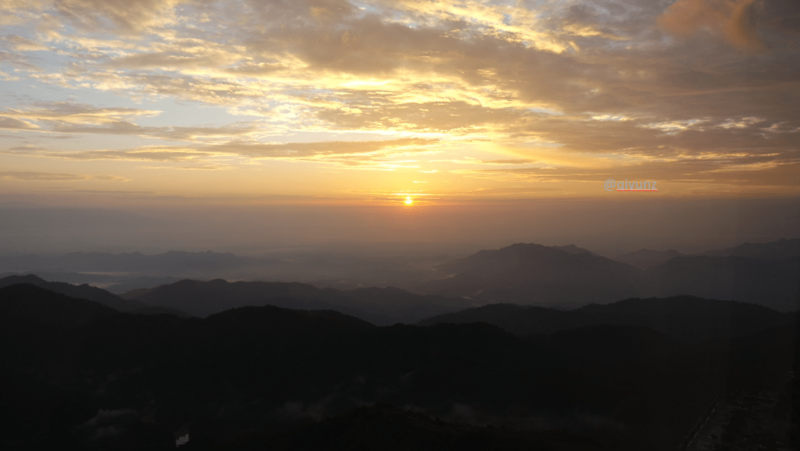 It was a good choice, as we even got to catch the morning sunrise. 42 meter square in size and fully equipped with toiletries and basic necessities, it’s big and comfortable enough for a family of 4. Have more than 2 kids? Just bring in extra beds! There’s more than enough space to hold a party of 20 in the room! Full review coming soon! 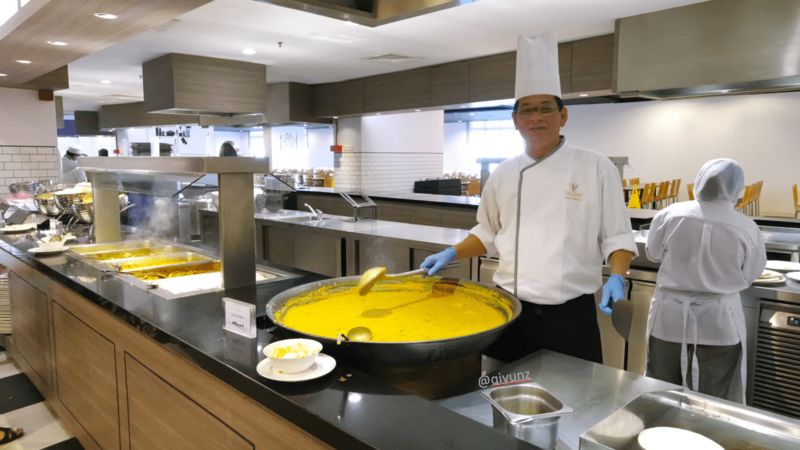 If café hopping is too cliché for you – try BUFFET HOPPING! 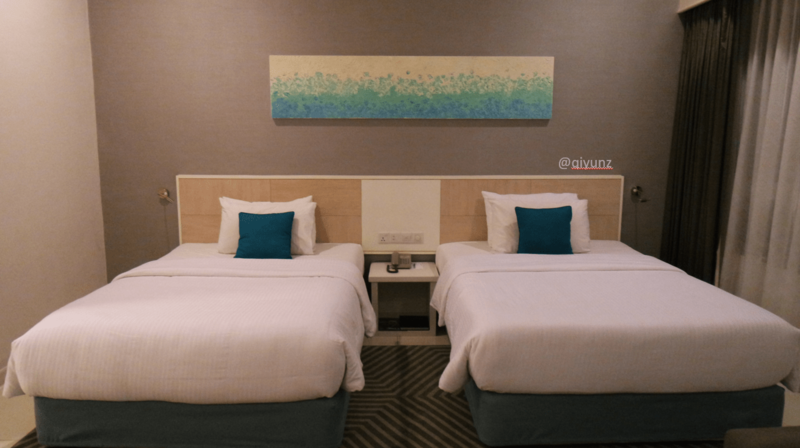 Being a huge integrated hotel that caters to huge tour groups and MICE meetings, there’s no lack of buffet options atop Resorts World Genting. I discovered Coffee Terrence (highly recommended) on my last visit. This time we ventured into the newly open Food Factory for lunch and headed with the coach down to Awana Rajawali for a buffet dinner with a view! Covering 23,568 sq ft with a open kitchen concept, it showcases all it’s heavy-duty kitchen gadgets like a LIVE kitchen show – thus the name ‘Food Factory’! Chefs stand by their machines displaying their ‘cooking’ skills and the might of their tools. Customers are able to see these machines at work in front of them – a different and interesting type of culinary showcase indeed! The restaurant is able to cater for 1,300 diners at any one time with food quickly made but served fresh. 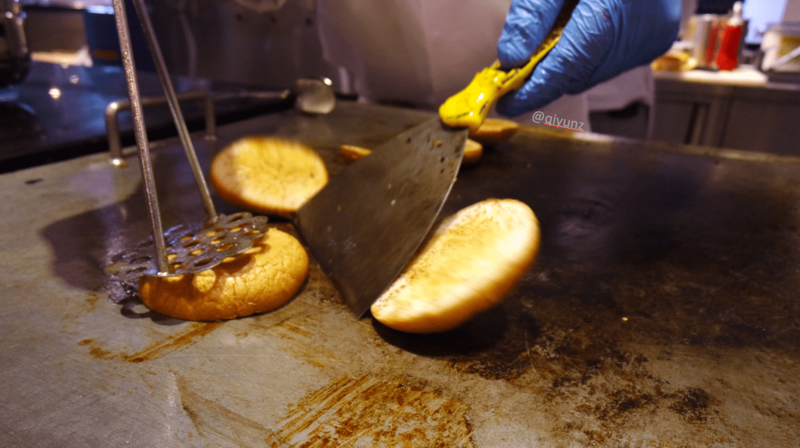 This is made possible with the ‘giant’ cooking utensils such as a pancake machine and a pizza conveyer machine from US and a fried rice and noodles making machine from Hong Kong! We are talking about churning out food for a huge mass of tour groups and MICE market tourists swamping in like shelter for the apocalypse! – For the fried noodles recipe, a total of 88kg of boiled noodles, 10kg of chicken slices, 16kg of prawns, 150 eggs, 16 kg of Chinese cabbage, 10 kg of carrot Julliane, 5kg of muchroom slices and 20kg of beansprouts are needed to serve 2.000 people a day! 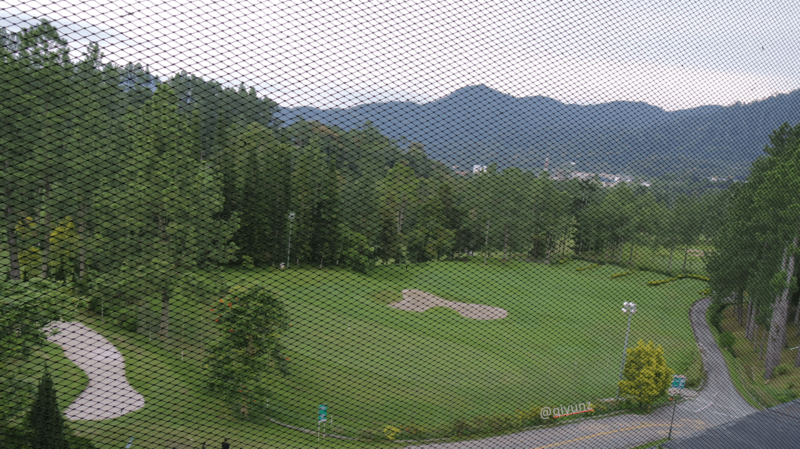 Located at Awana Resorts Highland Genting and overlooking the Golf Course, we were greeted by the fresh mountain air and wonderful lush greenery upon arriving. There was a indoor sitting area and a outdoor one – everyone choose the outdoor sitting of course haha! No brainer la, the view was too good to miss. As the sky turns dark, our attention was turned to the indoor ambiance as the restaurant’s warm lighting starts to become more obvious. The interior has a mix of luxurious Indonesian design and traditional Malay decorations. Singers and musicians donned the stage bringing us a mix of familiar Chinese and Malay acoustic hits. Nothing short of grand yet a comfortable feeling remains. And, did you see that dessert table spread??!! Food was more than awesome! I was initially disappointed when told we will not be going Coffee Terence anymore because I LOVED THE FOOD AND THE SATAY THERE! But, thankfully, we got to visit the Awana Gajawali Coffee House this time. Serving the same quality of food (with Satays!!!) and with a awesome view and lovely night ambiance, I would gladly hop between Coffee Terence and Awana Gajawali anytime! Watch my video below for a tour and food review! Statue of Liberty gaining liberty! and a dream land of flying whales and live status too! With the theme park undergoing renovations (20th Century Fox World Genting HELLO! ), I relieved these fond memories in the First World Indoor Theme Park elevated rides, still in the comfort of the cool air conditioning and with no fear of the rain! Plus at RM8 only per ride, it was an awesome ‘cheap thrill’! Watch part 2 of my vlog to see us going on those kiddy rides! Haha! If kiddy rides are over for you, make your Shopping Queen dream into a reality at Resorts World Genting! There are 40 retail and 25 F&B outlets within the indoor theme park but that’s not the main point. Go make full use of the current MY vs SG exchange rate! Thank you for reading! I can’t wait for my next trip up Resorts World Genting! Lancome Juicy Shaker Review + Giveaway!